Dubai, UAE, April 09, 2019: Bringing famed delicacies from North Indian cuisine, the culinary team at Purani Dilli, Four Points by Sheraton, Downtown (Bur Dubai) has created a lavish menu for guests to commemorate the Holy Month. Priced at AED 95, the iftar spread features a Juice Counter serving Roh Afza, Jallab, Karkade, Qamaradeen, as well as fresh juices with an assortment of nuts and dried fruits. Drawing inspiration from Emirati and Indian favourites, the salad bar offers a choice of Hummus, Moutabel, Fattoush, along with Chana chaat, Fruit chat among other varieties. Also included are a choice of garden lettuce and an assortment of dressing, pickle, raita adding to the Iftar experience. 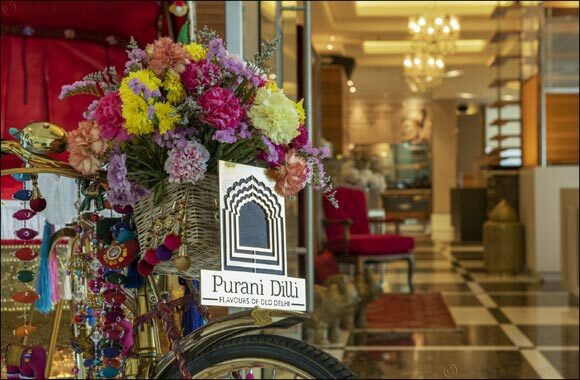 Guests at Purani Dilli can explore favourites from Indian Mughlai cuisine, as well as feast on Middle Eastern flavours. The culinary team has created flavoursome starters like Chicken malai tikka, Mini sheek kebab, as well as vegetarian options, including Mix Vegetable pakora and Punjabi samosa. Offering a selection of meat and vegetarian options, guests can enjoy mains like Mutton stew, Lagan ka Murgh, Dal makhani and Vegetable biryani.Conclude your iftar experience at Purani Dilli with a delightful selection of home-made desserts, including mithais (traditional Indian sweets) like Rasmalai, Gulab jamun, Piste ki kheer along with assorted fresh fruits. Dessert lovers are sure to enjoy traditional Arabic and mouth-watering Emirati treats, including Katayef walnut, Arabic macaroon, Um-ali. Cost: 95 per person inclusive of juices.